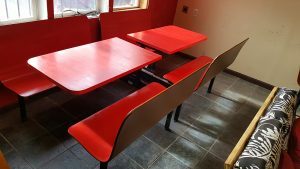 Restaurant Furniture | Recovering Failure Inc. Size: Two Double and a Single the sit up to 10 people. This item is donated by Mi Casa Su Casa Cafe.